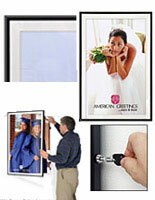 These Picture Frames Are Sturdy And Will Last Years! These Picture Frames Are Constructed Of Solid Wood! 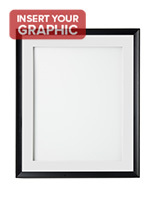 The outside frame dimensions of this picture frame are 26 ¾"w x 32 ¾"h x 1 5/8"d. This frame includes a white mat board which helps to set the poster apart from the frame and get it recognized. 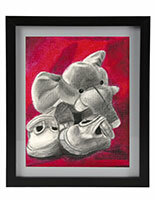 When the frame is closed the mat board will cover ¼" of the print on each side. This renders the legitimate viewing area of 21 ½"w x 27 ½"h. The uncomplicated and useful gravity latch system is concealed out of view and maintains the frame securely closed. Mounting instructions and hardware are provided. 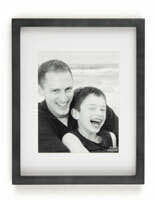 This picture frame comes fully assembled and is extremely easy to mount on your walls. This product is engineered for interior use only. Capture your clients awareness with this appealing, stylish and extremely practical Slim Wood SwingFrame Hanging Picture Frame. 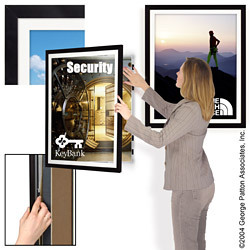 This high quality picture frame is mounted with an easy to use gravity latch system that permits you to post and exchange posters easily and often. 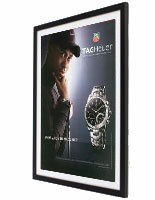 The Matte Black wood framing gives your poster display a high end appearance. 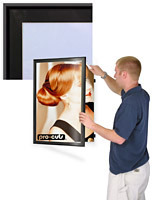 This unit is engineered for posters with dimensions of 22"w x 28"h.